One should apply for a mortgage Loan Modifications if currently having a bad or toxic mortgage on your current home, especially if the home loan that you currently have is based on an negative amortization model. This means that the amount of balance that you are going to owe will end up increasing with time since your monthly payment ends up falling below the true interest amount that is currently due. Through the Home Loan Modification program, you can actually go about converting your present home loan to a much safer, fixed-rate conventional mortgage loan that will ensure that the principal on your mortgage will end up decreasing over a period of time and be paid off at the end of the loan term itself. Did you get your mortgage before Jan. 1, 2009? Is the mortgage you are having trouble making payments on below $730, 000? Do you currently live on the property in question? Can you prove all of your financials through documentations? Can you verify that you really are in some financial hardship? Is your household debt over half of your current total income? Do you have decent credit currently? Have you been late on any of your mortgage payments? If you went and answered yes or perhaps to the questions 1 to 6, you may actually be eligible for a home loan modification under the making home affordable program. 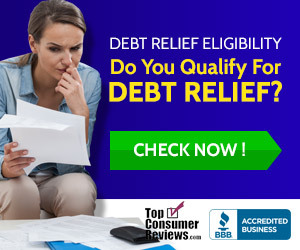 If you happened to of answered no to questions 7 and 8, then some financial lending institutions may or may not approve a loan modification agreement with you. These financial lenders will also take a look at your past payment history in order to determine whether you are going to be eligible or not. The questions above are more or less based upon the guidelines that home loan modification program has put into place. A large percentage of the homeowners out there that are struggling are a solid "Yes" all the way down that line of questions, and that is the exact reason as to why the Home Affordable Modification Program was created: To provide assistance to millions of Americans with keeping their homes through a home loan modification or a mortgage refinance option.